This must see 3 bed 2 bath home is an amazing find! Upon entry you are greeted by a beautiful formal dining room with direct access to the kitchen, making it the perfect space for all your entertaining needs! After passing through the entryway you come to a large family room featuring hardwood flooring, a vaulted ceiling and a wall of windows that shower the room in natural sunlight! Creating your favorite recipes is a real treat in the classic kitchen equipped with tile backsplash, laminate countertops, a walk-in pantry and cabinets that provide ample storage space! In the evenings, withdraw to the spacious master suite complete with a vaulted ceiling and french doors leading into a luxurious bathroom that showcases a walk-in closet, double sinks, built-in shelving, a garden soaking tub and a tiled walk-in shower! 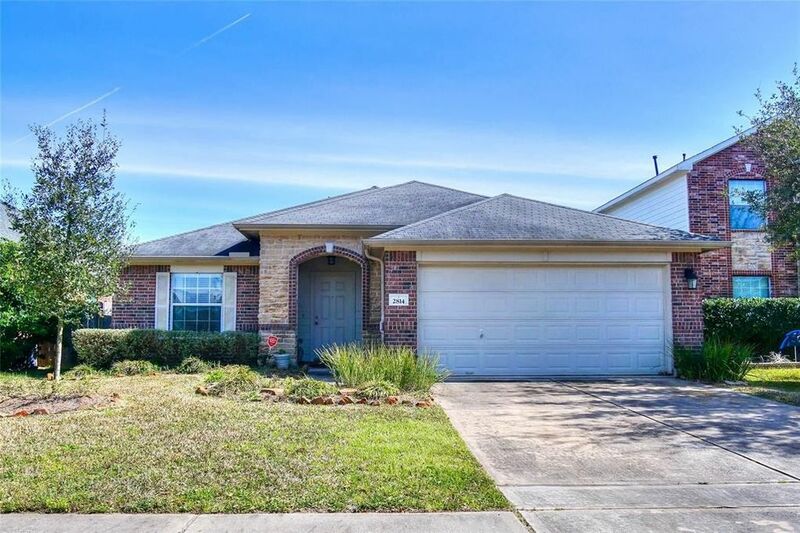 The home also has a large backyard with plenty of green space for activities and a covered patio with 2 built-in ceiling fans! Don't miss out, this one will not last long! Directions: From I-10 W, exit towards N Grand Pkwy, (L) on Morton Ranch Rd, Continue on Morton Rd 0.4 mi, (L) on Lakecrest Forest Dr, (L) on Lakecrest Run Dr, Continue on Lakecrest Way Dr, Home will be on the left.